Experience life at sea without leaving port by visiting the USS Midway Museum, San Diego's newest visitor attraction. A visit to this historic naval aircraft carrier museum is an essential experience for people of all ages. 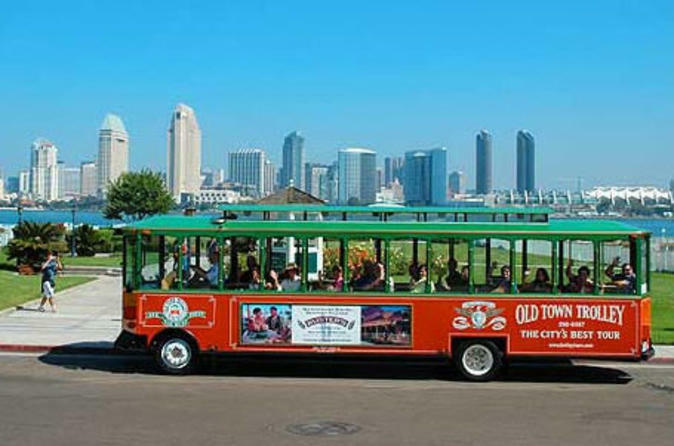 Discover San Diego at your leisure with a one-day ticket on the Hop-on Hop-off Trolley Tour. Create your own itinerary to see the most popular sights of San Diego at your own pace. With literally thousands of wild animals including many on the endangered species list, its no wonder that San Diego Zoo is world famous. 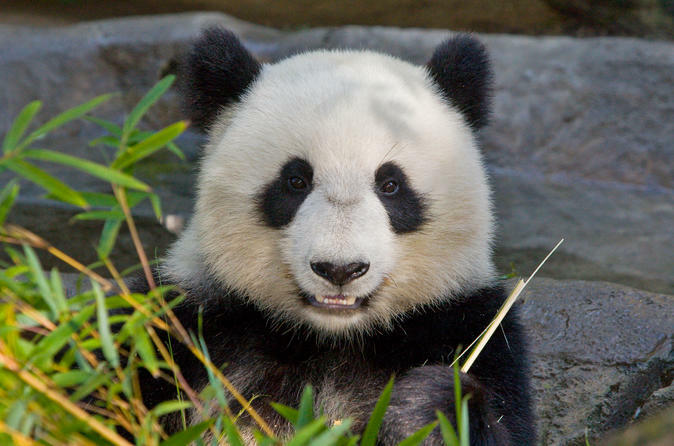 With more than 4,000 animals representing 800 species, San Diego Zoo is home to a diverse collection of animals, many of which are rarely seen at other zoos. 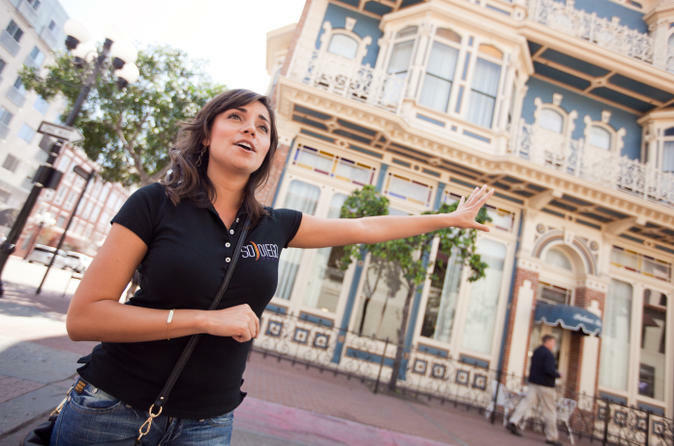 See the best of San Diego on this morning or afternoon highlights tour that includes the historic Gaslamp Quarter, museum-packed Balboa Park and ritzy La Jolla. 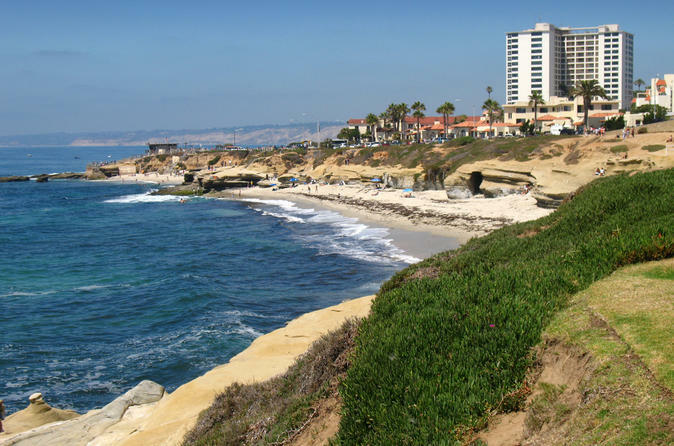 With hotel pickup and drop-off included, this comfortable coach tour makes it easy for first-time visitors or those short on time to get an excellent overview of sunny and scenic San Diego. 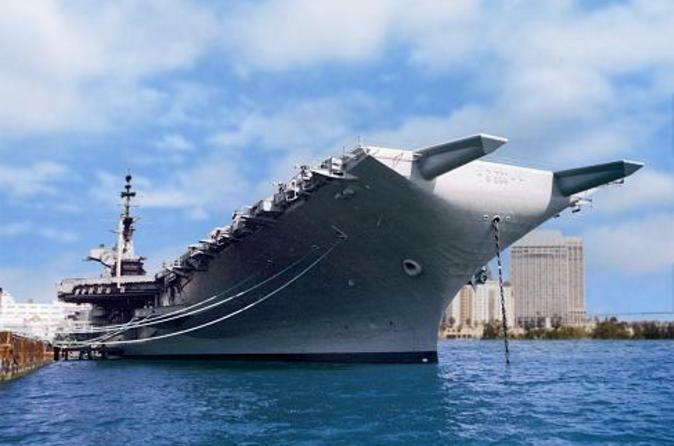 Upgrade to also include admission to the USS Midway maritime museum or the lively Seaport Village shopping area. 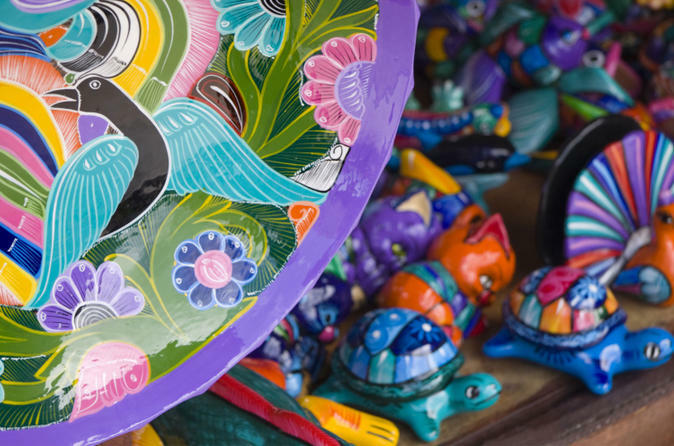 This day trip to Mexico is a must for bargain shoppers, lovers of Mexican cuisine or those curious to see sights like the Old Bullring, Avenue of the Heroes and Plaza Rio. It's only a short drive from San Diego, but you'll feel that you've entered another world when you leave the United States behind and enter Mexico. Is it a boat? Is it a bus? No - it's San Diego's original amphibious water and land adventure! 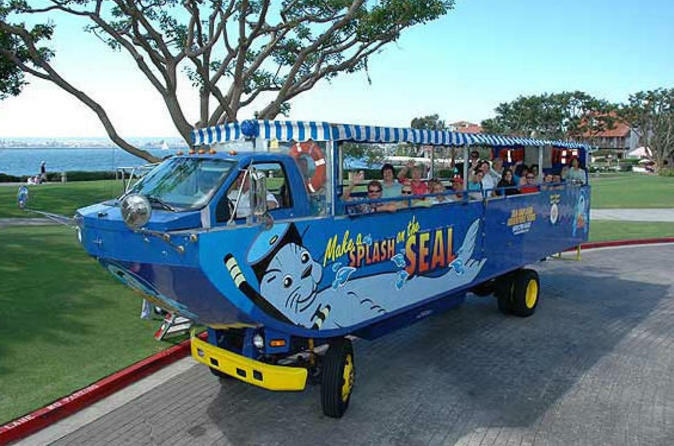 Commonly known as a duck tour, the San Diego Seal Tour is a fun and unique way to explore the city from the streets and the sea. Enjoy a 2.5-hour cruise aboard one of San Diego's finest dining vessels. Spend the evening in luxury as you dine on a gourmet dinner, sip on a complimentary cocktail and enjoy lively entertainment throughout the night. Upgrade your dinner cruise to include an unlimited bar option and don't forget your camera – this cruise features 25 scenic miles (40 km) of San Diego's magnificent skyline. Take a 1- or 2-hour relaxing harbor cruise through the bay of San Diego, featuring unforgettable views of San Diego's skyline. This fully narrated tour will take you to all the places you want to see with time to spare! 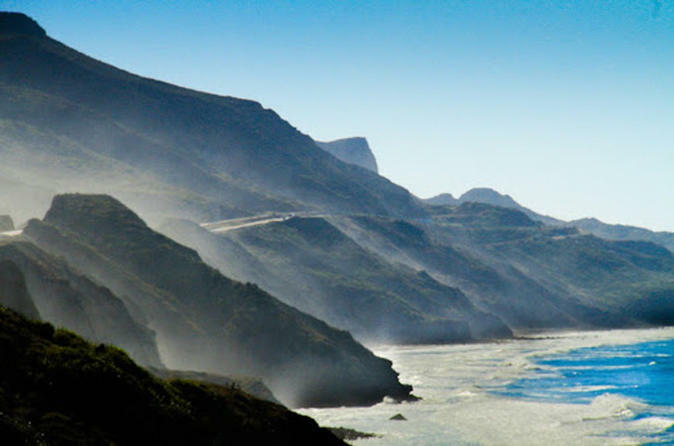 Enjoy live commentary that will give you a background, history and highlights of this awesome bay. You'll see some of the largest watercraft in the world up close. Experience the best of Tijuana on this half-day sightseeing tour from San Diego! Relax on a comfortable coach and enjoy narration from your guide as you see sites like the Avenue of the Heroes, Agua Caliente, Cuauhtemoc Monument and General Zaragoza Statute. Stop at Avenida Revolución for free time to browse shops and galleries and enjoy an authentic Mexican lunch (own expense). Spend a full day exploring the awe-inspiring world of marine life at SeaWorld San Diego, where every encounter is a new adventure. 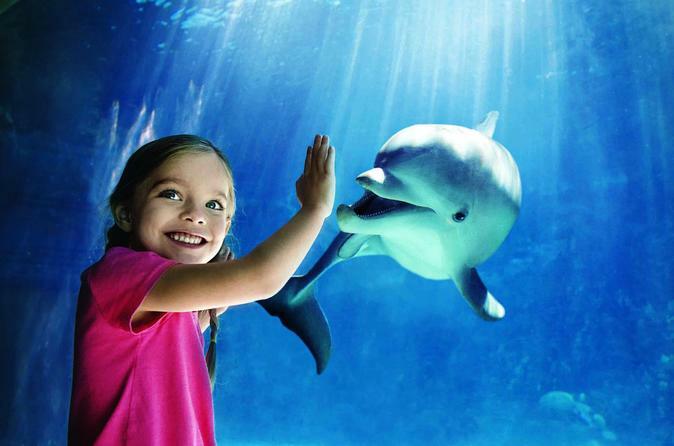 Come face-to-face with playful dolphins, magnificent white beluga whales and friendly penguins.Upgrade your ticket to include a visit to Aquatica San Diego, SeaWorld's newest waterpark! 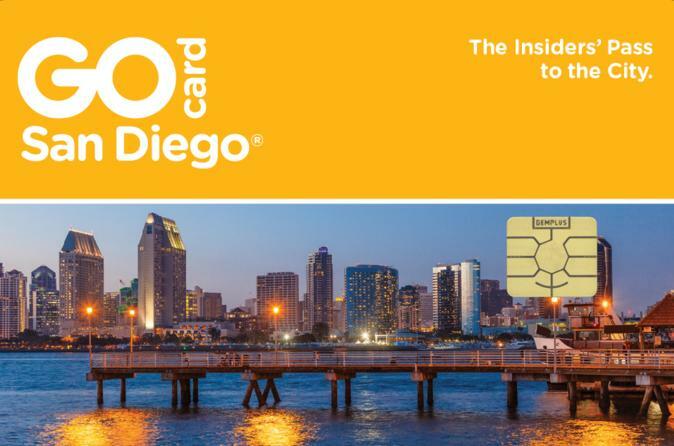 With access to 43 attractions, activities and tours all around San Diego, the Go San Diego™ Card offers something for everyone! Visit the San Diego Zoo, LEGOLAND® California and Knott’s Berry Farm; cruise along the San Diego Harbor; go snorkeling or kayaking in La Jolla; take a guided city walking tour; enjoy a day trip to Hollywood and much more! You’ll have the flexibility to create your own itinerary to sightsee at your own pace; plus, you’ll save up to 30% at select shopping and dining locations. Enjoy direct entry to attractions. Simply print your pass and go – no voucher redemption required! The Brothels, Bites and Booze culinary tour of San Diego’s historic Gaslamp Quarter will take you back to a time of scandal and debauchery. Marvel at the antique architecture, learn about the early red light district, and sample fabulous food and drinks at five of the most quintessential restaurants in San Diego. 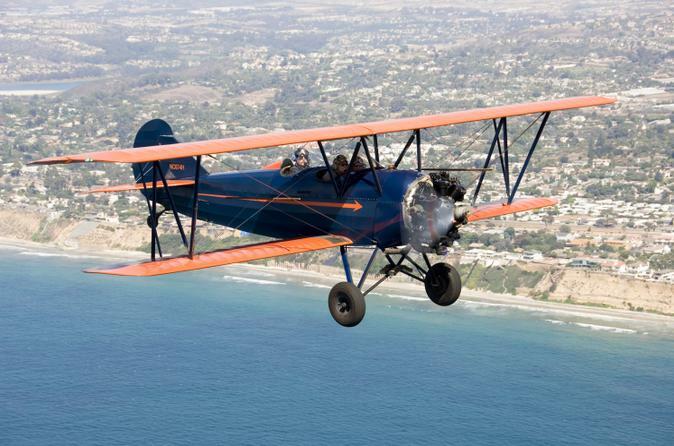 Take a thrilling ride over San Diego in a classic 1920s open cockpit biplane. 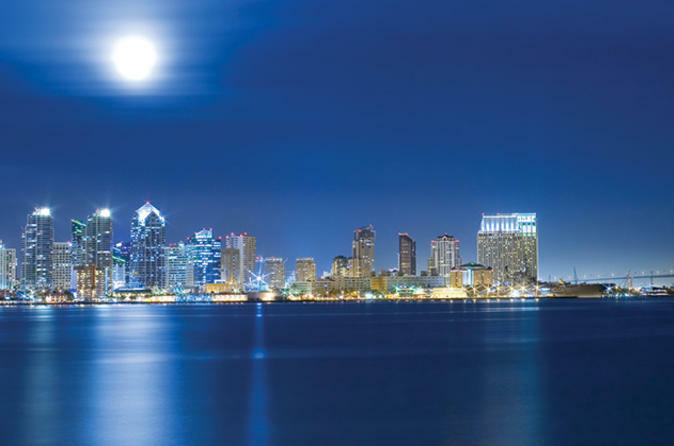 Choose from a variety of itineraries covering the sparkling coastline, downtown San Diego or Coronado. While you — and up to one companion — enjoy unobstructed views from the front cockpit, your expert pilot flies the plane from the rear cockpit. Depending on your preference, your flight may be mellow and scenic or full of stunt turns and rolls. This is an ideal way to celebrate a milestone or just inject a little novelty into your time in San Diego. Soak up the San Diego skyline in luxury and style on this relaxing dinner cruise, a Viator Exclusive that can’t be booked anywhere else! As you travel along San Diego Bay aboard a deluxe yacht, take in views of the sparkling city lights and enjoy lively DJ entertainment. 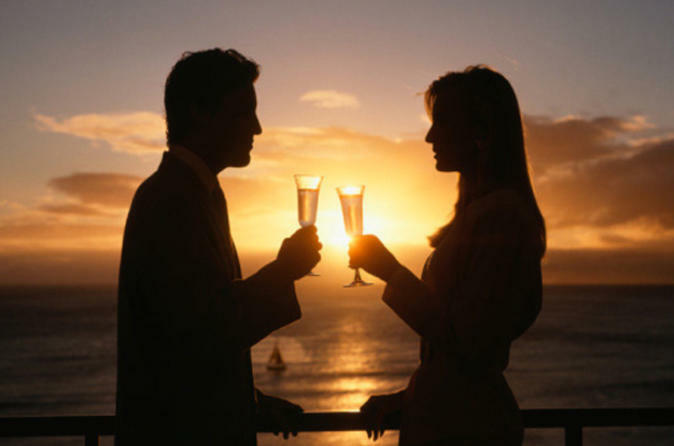 Pop open a bottle of Champagne and savor a gourmet 3-course meal at your guaranteed private window table. This is the perfect way to celebrate a birthday, anniversary, or any other special occasion. 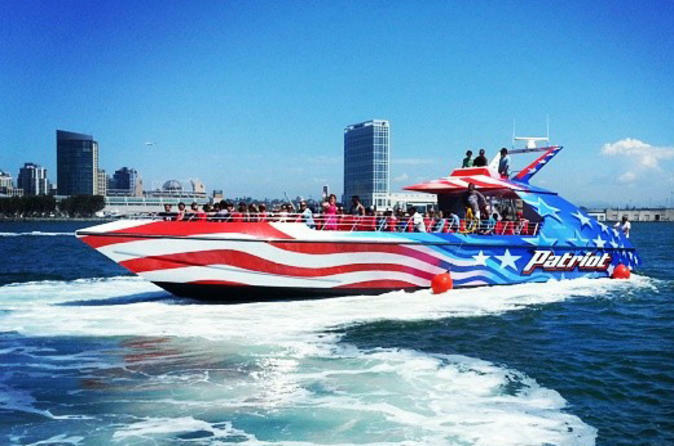 Experience the thrill of driving your own speed boat on a guided and narrated tour around San Diego's Harbor. 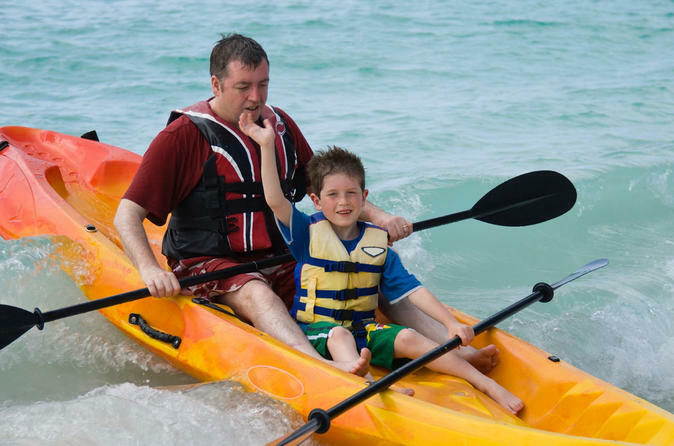 You’ll navigate and captain your own speed boat for the entirety of the tour while following a trained and knowledgeable guide in a different boat. There is a two-way communication systems mounted in each boat so you'll be able to hear your guide throughout the tour. 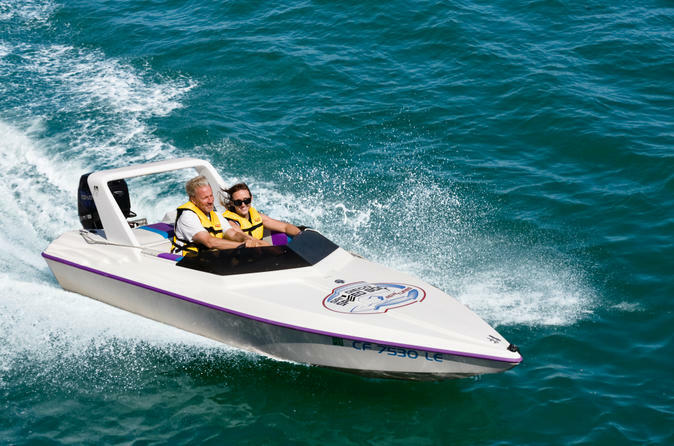 This speed boat adventure is a great way see the beautiful San Diego harbor and learn about its history while speeding through water. Visit the most famous attractions in Southern California at one amazing price, and have plenty of time to see it all! 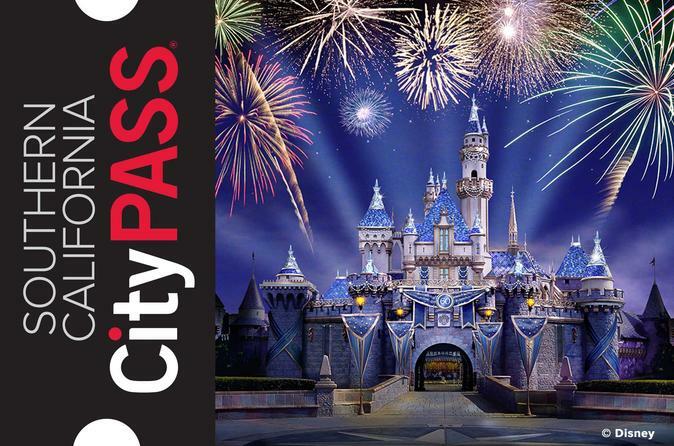 With the Southern California CityPASS, you can visit Disneyland® Park, Disney's California Adventure™, LEGOLAND® California and SeaWorld® San Diego! You have 14 days to use all your tickets, so you can do it all on a weekend break or take your time visiting these world-famous attractions in San Diego and Anaheim! Please note: this product is available to US residents only. There's no better way to relax and enjoy San Diego! Take in the sights, listen to relaxing music, linger in the sun and visit the captain. Indulge in a lavish brunch buffet featuring a savory selection of all your favorites and complimentary champagne. An astonishing range of sights awaits you in beautiful San Diego Bay! 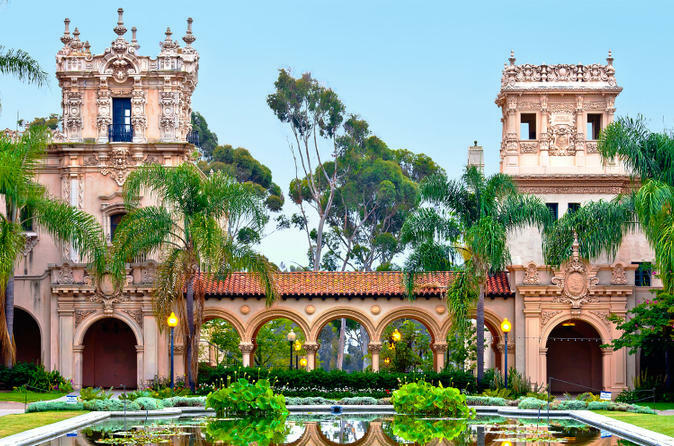 Like San Diego locals, Balboa Park will become one of your favorite places to spend time in San Diego, and your tour guide is excited to show you why! 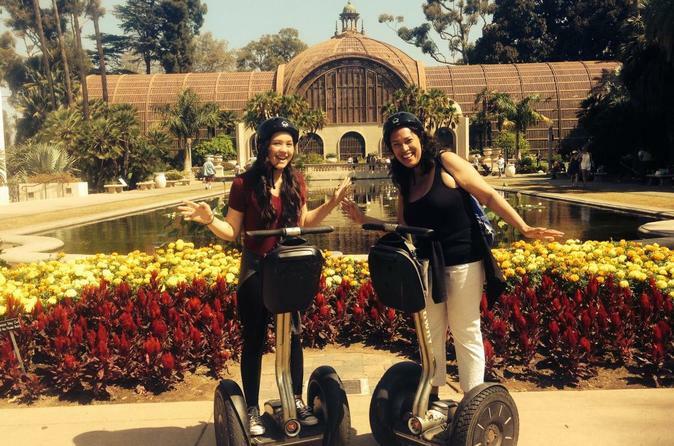 The Balboa Park Segway Tour is private for you and your group and available daily. 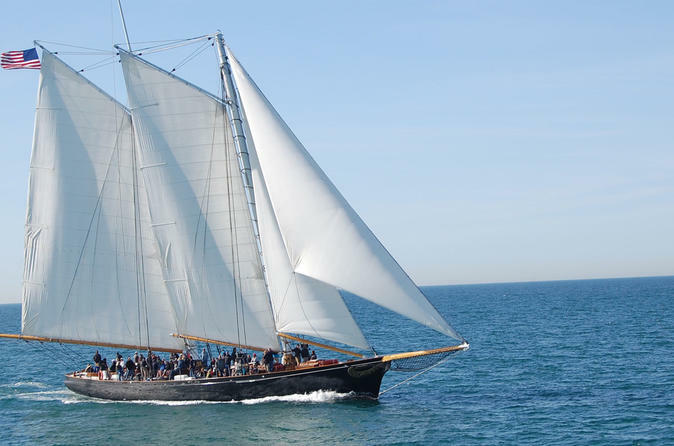 Jump on board the world-famous America sailing schooner for a once-in-a-lifetime whale watching experience. The only whale-watching sailing trip in San Diego, a cruise on America is the environmentally-friendly and most personal wildlife experience in town. Complete your nautical day with a visit to San Diego Maritime Museum any time you like. Explore San Diego, Coronado and Tijuana on this combo sightseeing tour. 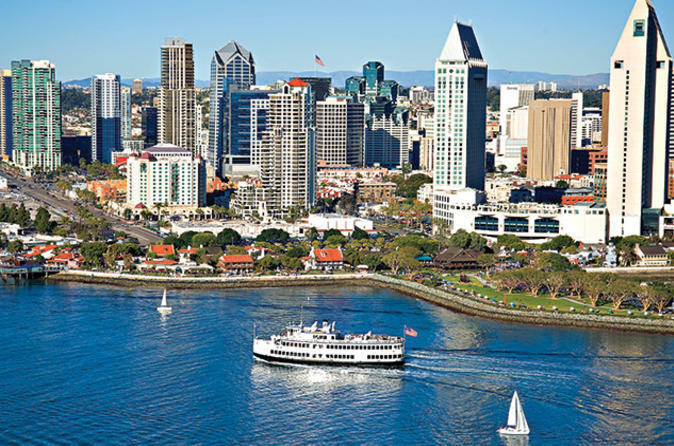 Aboard a comfortable coach, see places like Old Town, Balboa Park, the Gaslamp Quarter and Seaport Village, with several photo stops along the way and time to walk around. 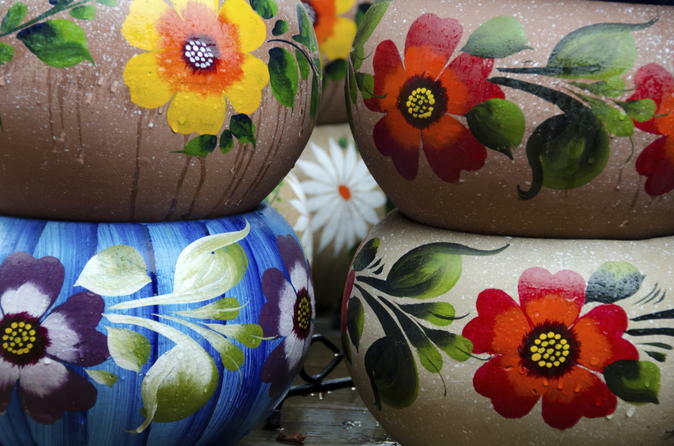 Then, head south to Tijuana for a tour and enjoy free time to browse local shops. Upgrade to include a scenic 1-hour cruise on San Diego Harbor! 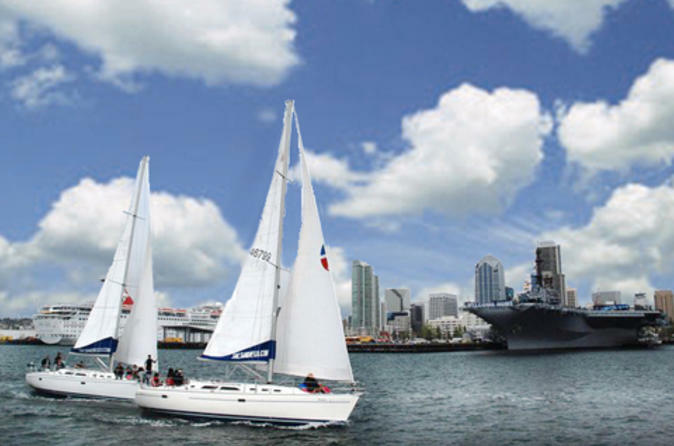 Set sail from San Diego on this small-group sailing tour! This three-hour adventure on a Catalina-style sailboat is limited to just six people, allowing you a comfortable, semi-private experience (or, grab five friends and fill up the whole boat!). Sit back, relax and enjoy the complimentary beer, wine, soft drinks and snacks as you soak in the warm sun with the glistening city lights behind you. 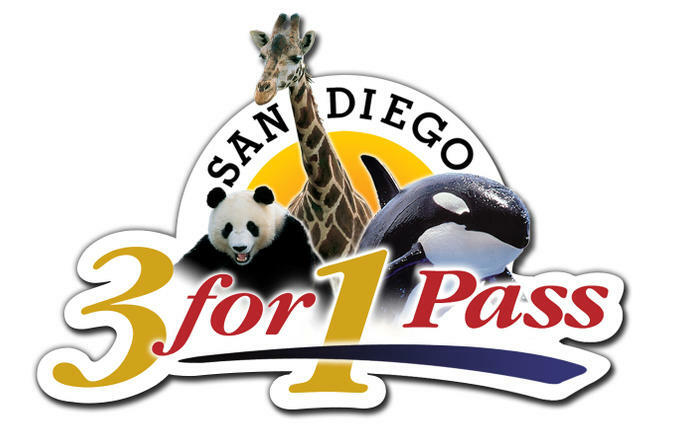 Sunny San Diego is home to some of the best family attractions in Southern California, and you can enjoy three of them with this special 3-for-1 pass! Enjoy unlimited admission for seven consecutive days to SeaWorld San Diego, the San Diego Zoo and the San Diego Zoo's Safari Park. Fancy a day trip into the deepest, darkest heart of Africa? Want to visit Asia on the same day? 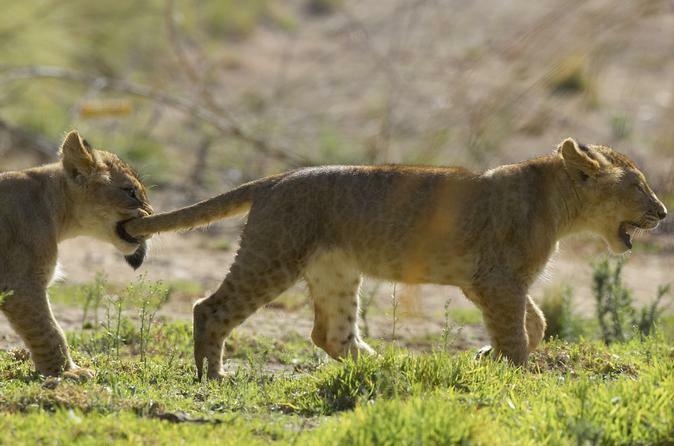 At San Diego Zoo Safari Park you can travel to faraway lands and discover exotic animals from all around the world. With transportation and park entrance included you have everything you need for a day of fun for the whole family. 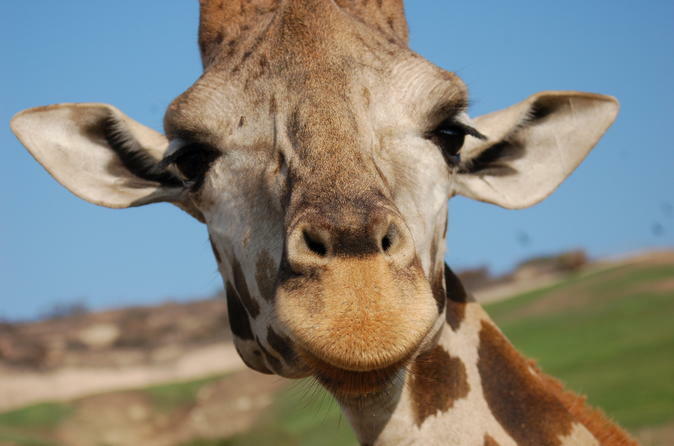 Inspired by the African Serengeti and the endless expanses of the Asian plains, the 1,800-acre San Diego Zoo Safari Park offers you an exotic safari adventure unlike any other outside of Africa itself. San Diego Zoo Safari Park is home to more than 3,500 rare and exotic animals - most of whom roam freely in vast enclosures. 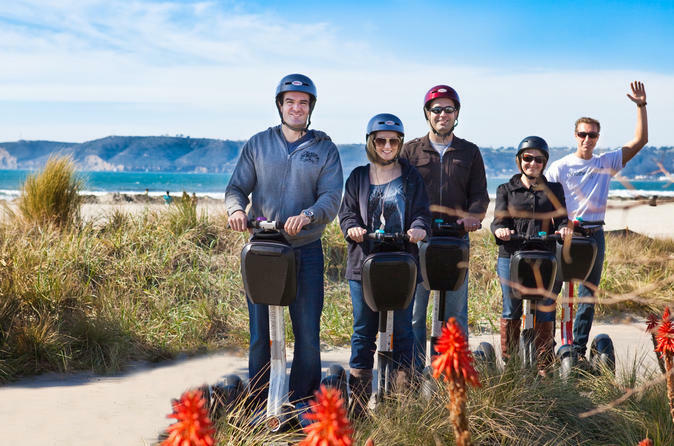 Admire top San Diego attractions on this narrated morning or afternoon Segway tour that includes instruction and is perfect for beginners! See the historic Gaslamp Quarter, Balboa Park, Petco Park and the 'USS San Diego' Memorial, stopping for photos along the way. Follow your knowledgeable guide as you learn about the city's history and major landmarks. Touring the city by Segway is a novel, memorable way to cover lots of territory in a short span of time. Experience a day of family-fun at SeaWorld San Diego, one of the world's premier marine adventure parks. With transportation and admission included, there's no need to worry about long lines, parking or public transport. The Tequila, Tacos and Tombstones Culinary Tour offers you the chance to sample some of the finest cuisine in San Diego’s Old Town! While you explore this historic district, the site of the first European settlers in California, you’ll sample delicious libations and get a taste of some of the district’s 25 restaurants. 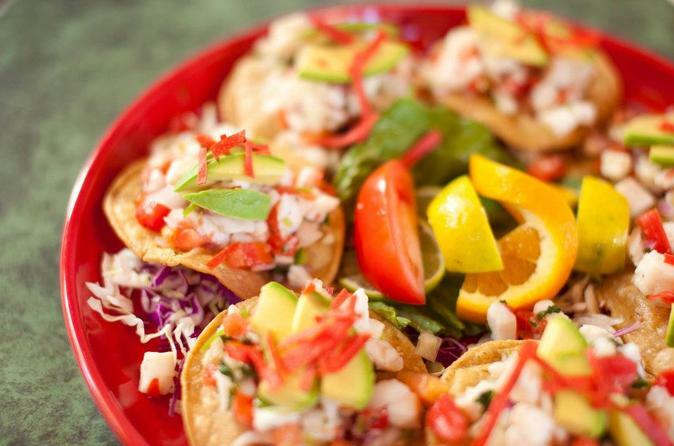 If you love authentic Mexican cuisine, or American history, Old Town won’t disappoint. 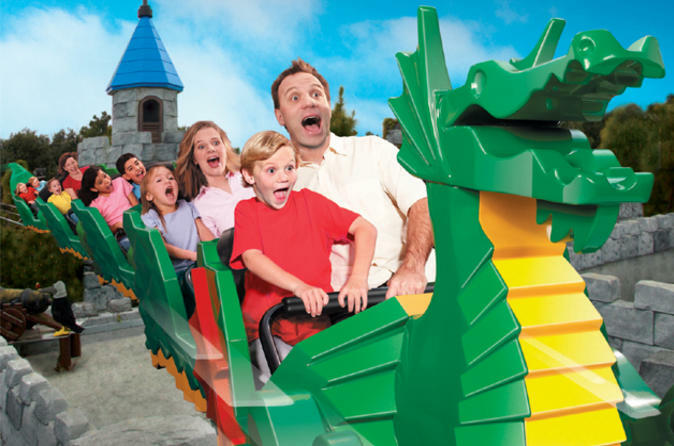 Experience a day of imagination and fun during a trip to LEGOLAND California. More than 60 attractions are designed to entertain and expand your mind as you explore the amazing world of LEGO. Try engineering a Lego building that withstands tremors, splash down in the water park, and take in a 4D-cinema experience. 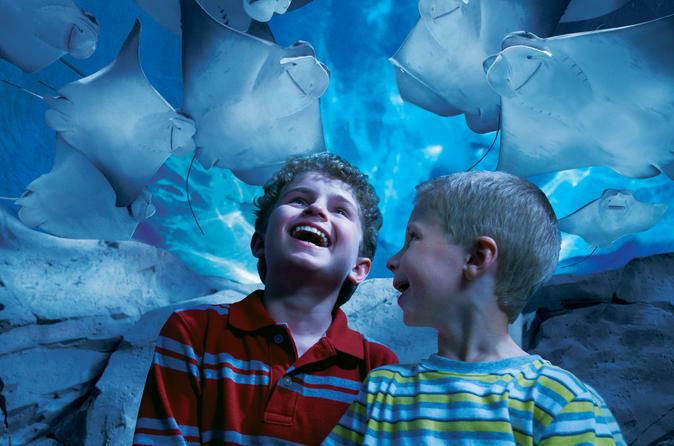 Have the option to visit SEA LIFE Aquarium next door for a fascinating glimpse into the aquatic world. 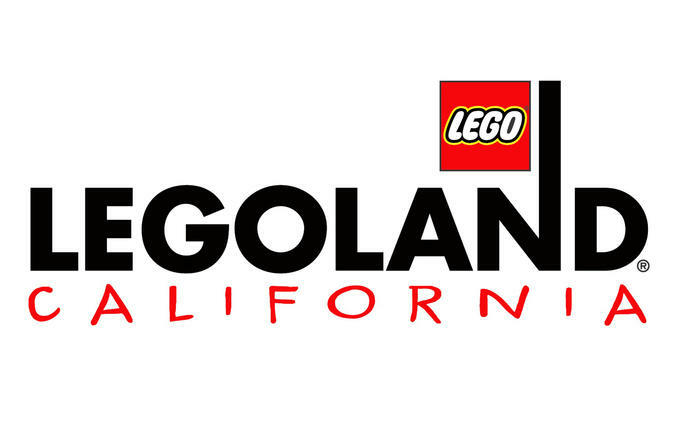 Kids of all ages will have a fantastic time at LEGOLAND California! 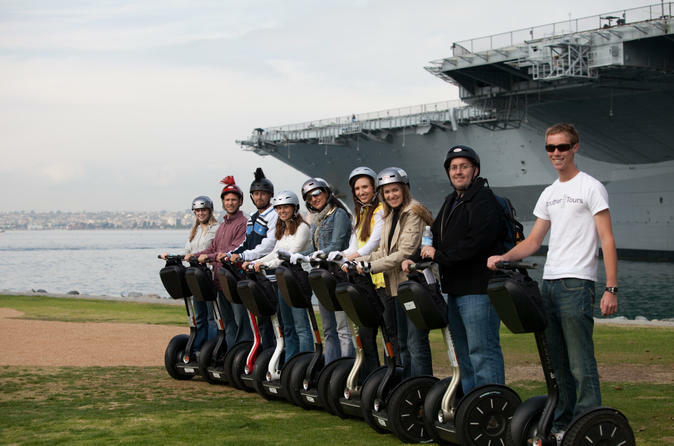 Explore downtown San Diego, the Embarcadero and Coronado Island by Segway on a morning or afternoon tour narrated by an informative guide. 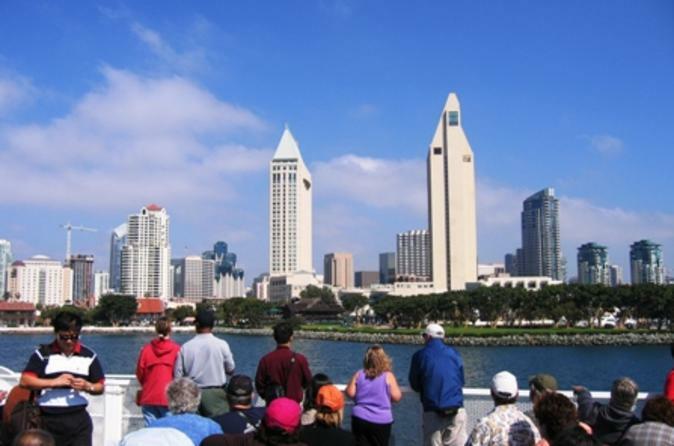 Admire gorgeous views of San Diego Bay from the Embarcadero. Take a ferry ride to Coronado Island to check out more sights including Coronado Beach and the Hotel del Coronado. Traveling by Segway is not only fun and different, but allows you to easily cover much more ground than walking. Spice up your California vacation with a trip to Mexico! On this day trip from San Diego, travel along stunning coastal cliffs to Ensenada for a guided sightseeing tour and free time to explore this beautiful, vibrant seaport city at your own pace. Admire the blue Pacific waters and rolling hills on the comfortable drive south to the third-largest city on the Baja peninsula. Then, visit notable sights such as Civic Plaza with your informative guide, have lunch at a traditional Mexican restaurant, wine taste at a local winery, and enjoy time at your leisure to shop and walk along the waterfront. 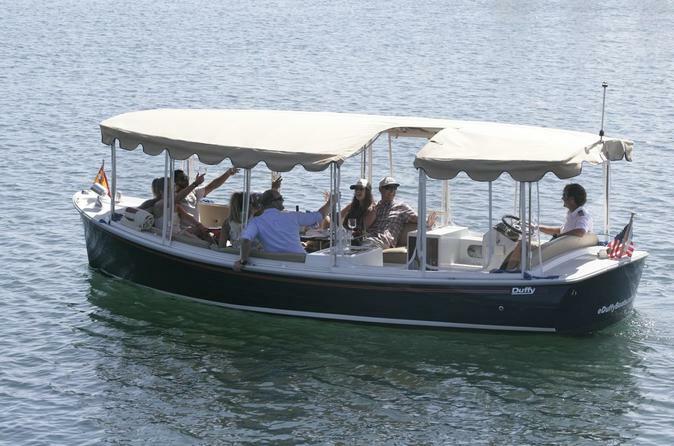 Silently cruise the calm waters of Mission Bay aboard our luxurious 2014 Bay Island Duffy electric boat. On board enjoy a feast of artisan cheese and a handcrafted meat board, while sipping a bottle of select Chardonnay, Pinot Grigio, Pinot Noir or Cabernet Sauvignon wine from California or your choice of Prosecco or Cava bubbly. Non-alcoholic option available. 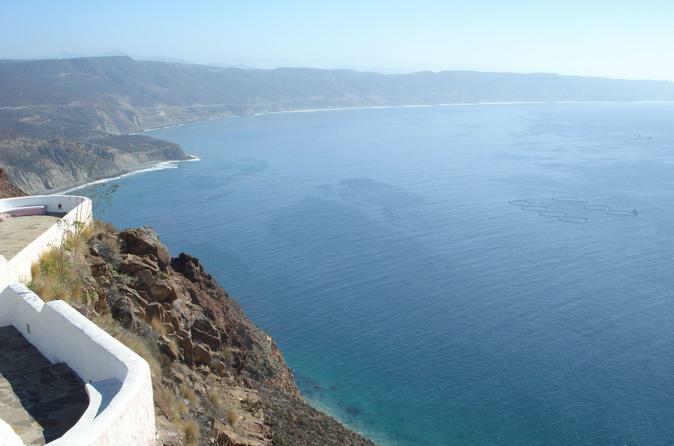 Explore some of Baja California's top destinations on this day trip from San Diego. This relaxing, scenic getaway takes you along the stunning Pacific coast across the California-Mexico border to Tijuana for a cultural sightseeing tour and time to shop along Avenidad Revolution, followed by a luscious lobster lunch, margaritas and mariachi music in Puerto Nuevo. Walk off your meal with a stroll along the waterfront, and then enjoy free time to explore the lovely historic city of Rosarito Beach at your leisure. While you’re in port, discover San Diego at your own pace with a one-day ticket on the San Diego Hop-on Hop-off Trolley Tour. This do-it-yourself shore excursion allows you to create your own itinerary so you can see the popular sights of San Diego at your own pace – simply hop off at any stop and hop back on the trolley when you’re ready! A family favorite for visitors to San Diego, Legoland California lets everyone be a hero. Become an ace driver at the Volvo Driving School. Speed across the waves at Wave Racer, or become an intrepid fossil hunter at Dig those Dinos. Explore beautiful San Diego and Coronado on this narrated sightseeing tour. 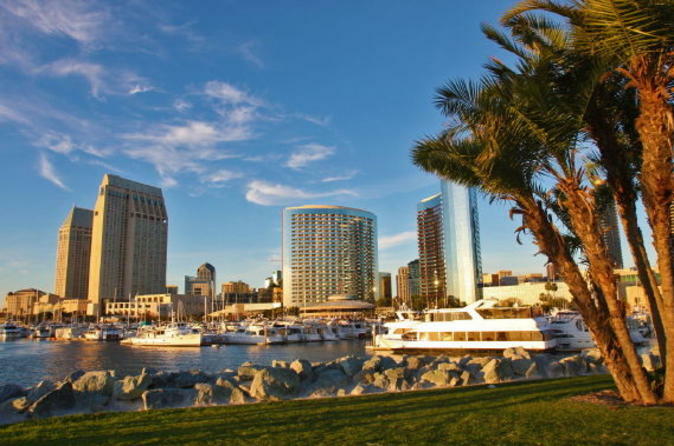 Aboard a comfortable coach, explore sites like Old Town, Balboa Park, the Gaslamp Quarter and Seaport Village, and enjoy time to walk around and take photos. Upgrade to include a scenic 1-hour cruise on San Diego Bay! A boat ride on San Diego Bay is lovely, but an exhilarating ride on a dual-engine jet boat is an experience to remember. 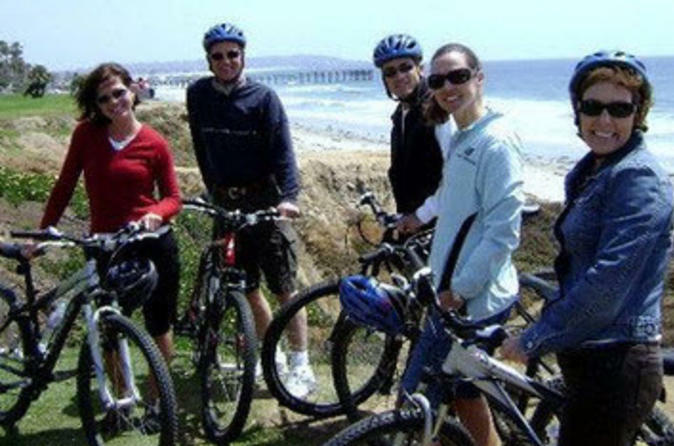 Zoom around the bay, enjoying views of the city skyline and Coronado Island and relishing the feel of the roaring wind. If that’s not enough thrill, 360-degree spins add to the excitement. Choose from several departure times to suit your sightseeing schedule. Span the globe in one afternoon at the world-famous San Diego Zoo. 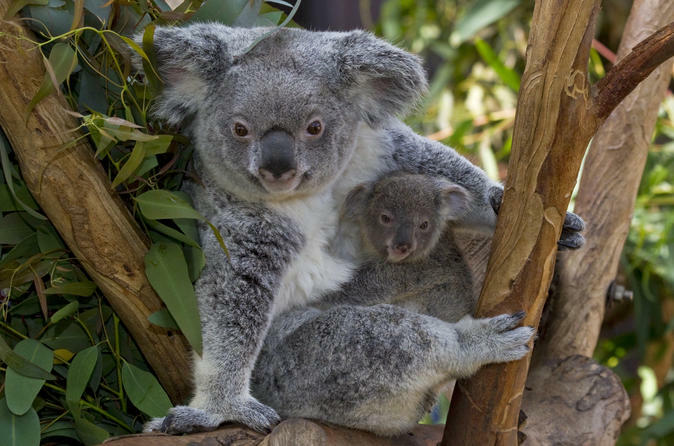 Popular with adults and children alike, a visit to San Diego Zoo is an ideal family-friendly activity during your time in California. 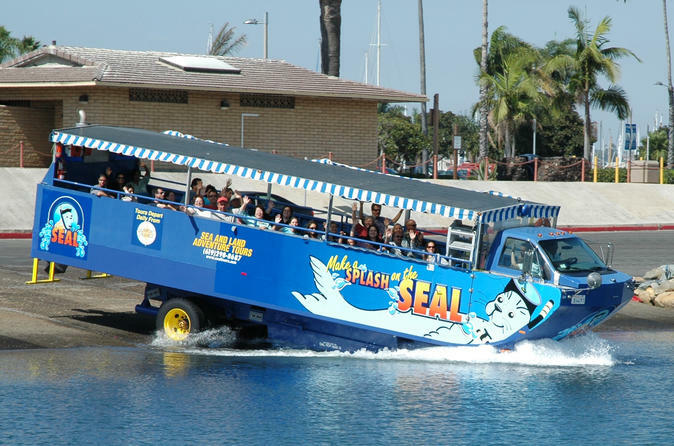 While you’re in port in San Diego, explore the city by both land and sea on the San Diego Seal Tour – the Southern California version of the duck tour. 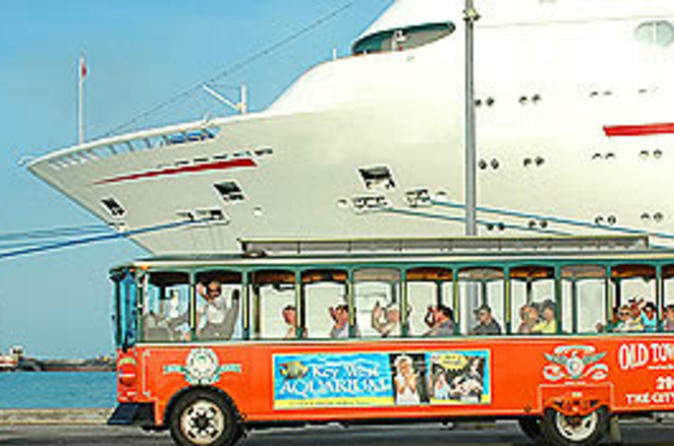 On an amphibious vehicle that travels on land and in water, you’ll spend this shore excursion driving along the waterfront and splashing into San Diego Bay. It’s a fun-filled adventure for the whole family.